We’d love your help. 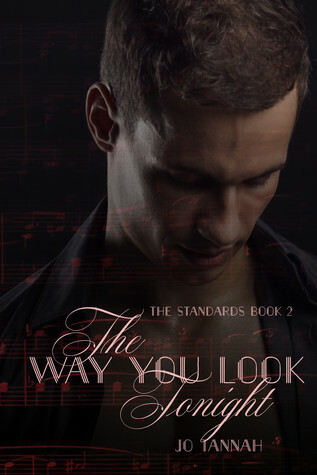 Let us know what’s wrong with this preview of The Way You Look Tonight by Jo Tannah. It had seemed so simple: pass the Philippines Medical Board Exam; practice in the family-owned and -controlled hospital; join the Board by age forty; and find a partner with whom he could As a member of a wealthy and influential family, Jaime “Jamie” Abello had his life mapped out. Being shipped off to LA with an insurance scam linked to his name was not part of his plan. To ask other readers questions about The Way You Look Tonight, please sign up. The Way You Look Tonight is a heartfelt story. I really enjoyed the way in which the relationship between the two men developed and the plot held my interest from start to finish. Disclaimer: I was involved in the production of this title. I liked this little story. The MCs were intelligent and caring. Miles secure. Jamie stronger than he thinks as he continues on his life path no matter what is thrown at him be life. When I will ever be free to laugh, love, or just be, I don’t know. The small mystery a nice addition to the story. I did not like that Letty was described as ugly while other women were not. I loved Letty. So, it was a different start to a book than your typical beginning of a romance book. It was a slightly convoluted for a plot that didn't have a massive impact on the storyline in my opinion. However, it does grab into the book and does keep you interested. Jamie has had to leave his home and his country in order to be protected from his family. Training to be a doctor whilst his father tries to clear his name, he finds his place in the world as he thrives in his role and meets Miles, his programme director. This is not an insta-romance and it takes a while for things to build between them as their positions and uncertainties get in the way. Whilst I enjoyed reading this and liked the characters, I didn't feel that we got under the characters' skins enough.